I grew up not really having a favorite season. But all of that changed when I lived in Germany for one fall semester during college. It was absolutely gorgeous, and I came back a different person. 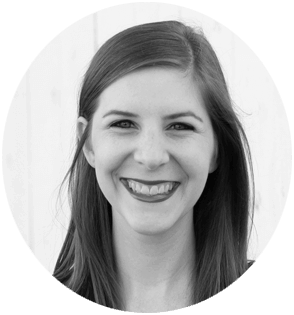 My most comfortable outfit suddenly consisted of a sweater, boots, and a cozy scarf. I savored the chilly moments I spent roaming cobblestone streets. And I loved how it felt to wrap myself up in bed while sipping hot chocolate and listening to the sound of rain spattering against my window. 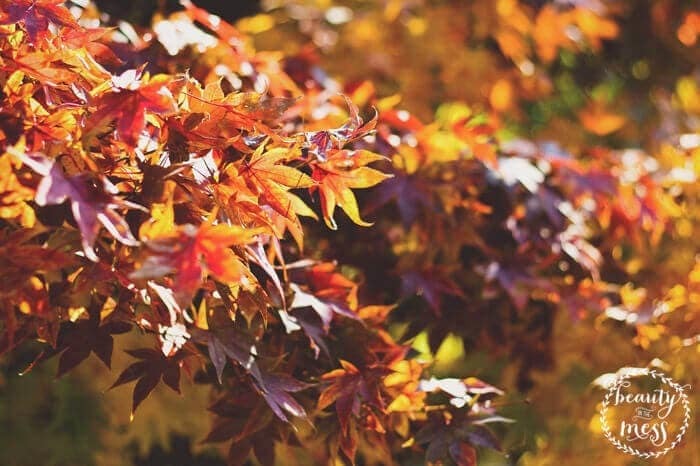 I didn’t know it then, but I would forevermore be spoiled when it came to experiencing fall. I currently live in West Los Angeles. As much as I love it here, I’m the first to admit that it’s lacking in the seasonal colors department. 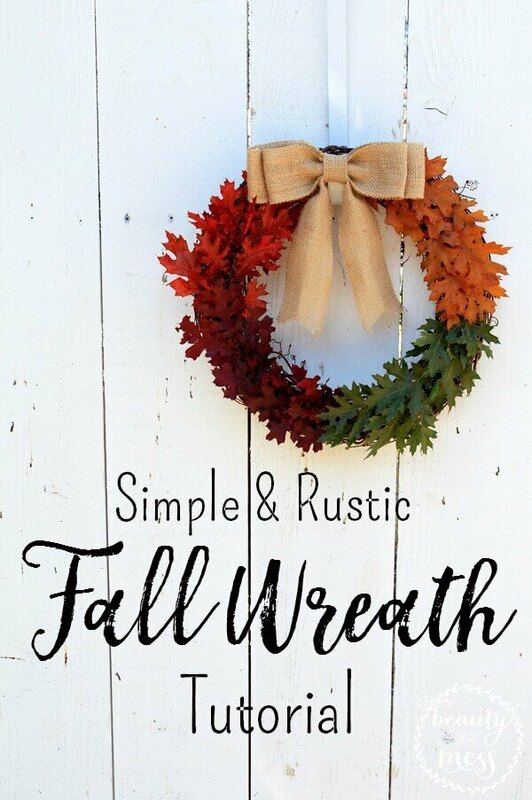 So today I am so excited to share with you an easy and affordable tutorial for making a rustic fall wreath. 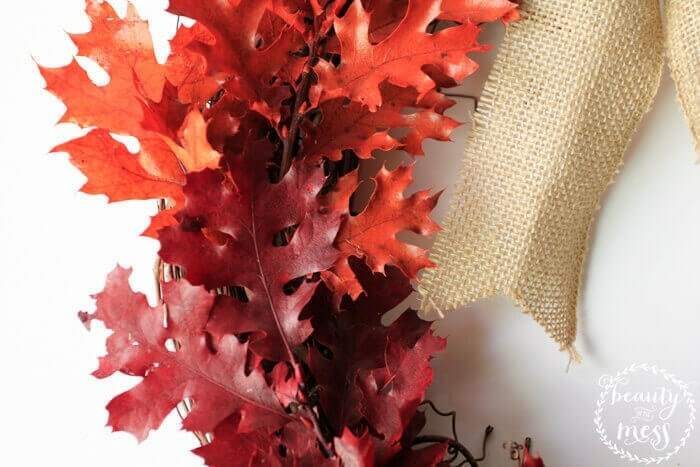 You can bring the colors of fall to your home, no matter where you live! This project only took me a few hours to complete and it can cost as little as $10. 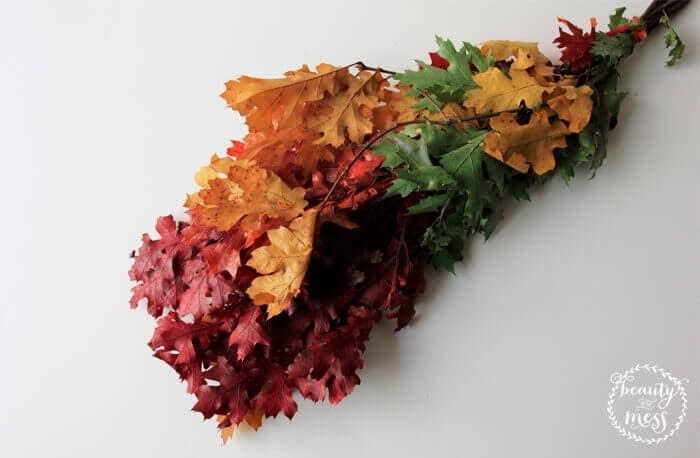 These are the faux leaves I found. Aren’t they lovely?! 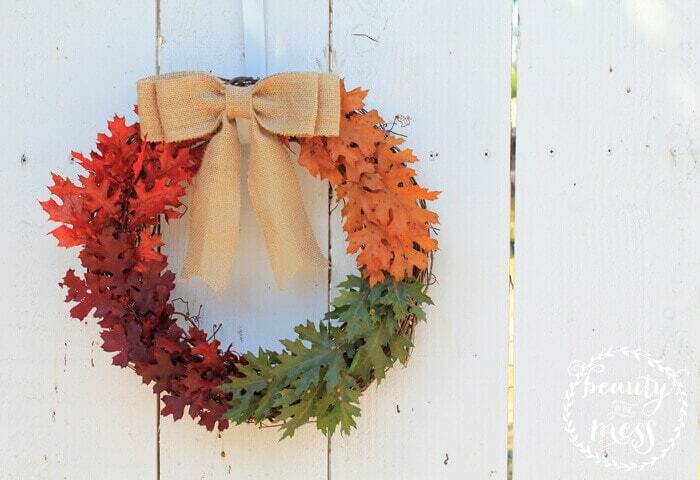 As soon as I saw them on the shelf, I knew I had to incorporate them into my wreath somehow. Little did I know that they’d steal the entire show! 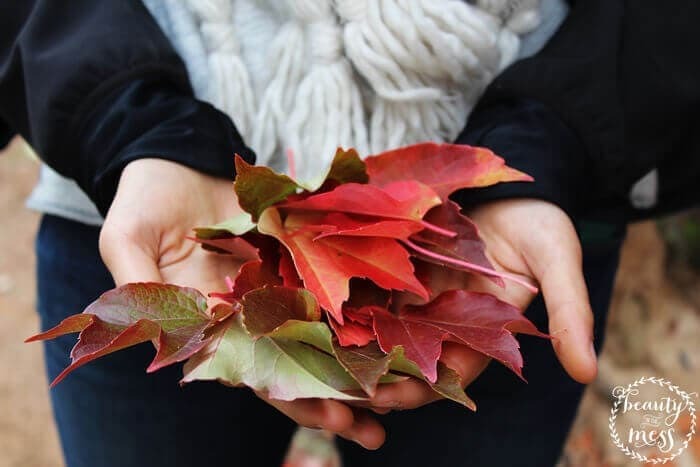 Do you want the colored leaves to be mixed together? Do you want them to be in sections, in a certain order? Try experimenting with all the different possibilities to see if anything in particular stands out to you. This step usually takes the longest amount of time for me, because I have a tendency to want everything to be perfect. 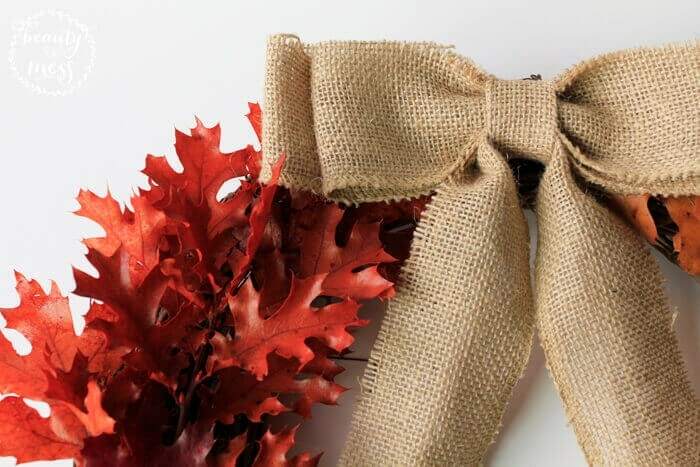 Now is also the time to put together your burlap bow (if you want to have one, and are making it on your own.) This is the tutorial I used if you’re not sure where to start! 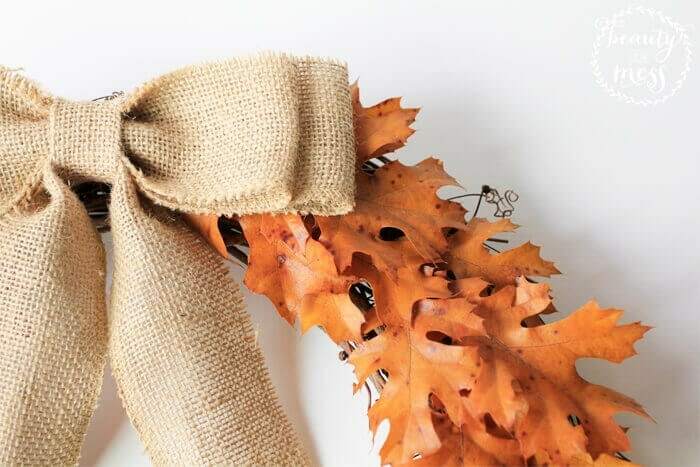 Once you know where you want your leaves to go, start hot-gluing them to your grapevine wreath. This is definitely the fun part… until you get burned like I did. But oh man, it was so worth it. I recommend starting at the top and working counter-clockwise. I did it that way to ensure that the unattractive dab of glue on one stem would get covered up by the next bunch of leaves, and so on. For the most part, I left the leaves on their branches, and this ultimately saved me a lot of time. Trust me when I say that you’ll be thankful you didn’t have to glue on every leaf individually. 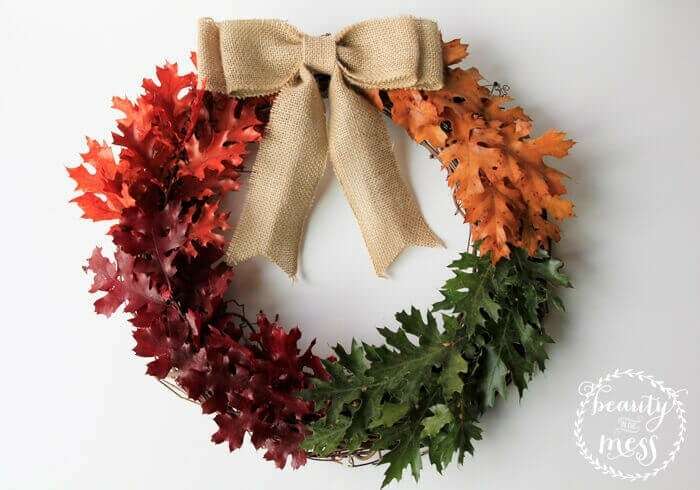 I love the rustic feel of this nature-inspired wreath, and I can’t believe how easy it is to make. Once the husband and I are all settled into our new place, I’m looking forward to hanging this on our front door! So pretty!! I love how you kept the colors together instead of mixing them. It’s a fresh look!